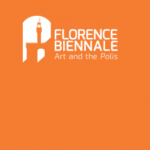 Manss Aval invited to participate in the Florence Biennale coming up later this month, October 17 through the 25. The Biennale Internazionale d’Arte Contemporanea di Firenze, or Florence Biennale is an event of excellence in the contemporary art scene. Artists from all over the world come to Florence, where they have the chance to experience cross-cultural dialogue and contribute to this prestigious event. Manss Aval has been selected by the International Selections Committee to participate in the X Edition of the Florence Biennale at the historic venue, the Fortezza da Basso in heart of the city. An art showcase par excellence, the Florence Biennale has become an outstanding event on the contemporary art scene at the International level. The prestige acquired by this biennial stems from the far-seeing policies lying behind the way in which value and opportunities have been given to the participating artists over the years. During each edition of the Florence Biennale an International Jury composed of renowned scholars, art historians and critics from different countries shall confer the “Lorenzo il Magnifico”International Award to the best Artists competing in the different categories. The “Lorenzo il Magnifico” Lifetime Achievement Awards are awarded to the outstanding personalities and institutions who achieved the pinnacles of artistic and cultural achievement. In the past, this award has been conferred to Anish Kapoor, Franco Mussida, and Henryk Yurkowski for art, music and theatre culture. The upcoming art exhibition will be an engaging environment in which art – in its many different forms and languages – can be interpreted and shared. This year new award categories have been established for Textile & Fiber, Ceramics, and Jewel artists at the Florence Biennale. Also in the forthcoming edition, whose theme is Art and the Polis, hundreds of artists from many different countries will have the chance to meet within the framework of a vital, inspiring, and inclusive event, which is attended by an increasingly wider audience.